I recently decided I wanted to get myself some wooden puzzles; I wanted to assemble and review them, and treat myself to something special. I purchased 5 wooden puzzles from 5 different companies to get an array of different styles. I started comparing cardboard vs. wooden puzzles and comparing the different wooden puzzle companies as well. I’ve come up with some insights about them and, surprisingly, about myself too! Armed with my newfound attitude that I’m worth spending money on, I jumped in with both feet and wanted to treat myself to some gorgeous wooden puzzles. I looked all over online to find wooden puzzle companies that have reasonable prices (according to me) and I ordered one puzzle from each. *There are two puzzles from Artifact because I received one as a birthday gift. Click on any of these brands to see my review of their puzzle. Liberty Puzzles have an excellent, extremely detailed cut, more whimsy pieces than any other company, an amazing catalog including many exclusive images, and are very reasonably priced. The smallest puzzles start at $39 for their extra small size that has approximately 100 pieces. They’re my favorite of the 5 companies – the intricacy of the cut is so special, I would pretty much do any puzzle -any image – from Liberty! Artifact Puzzles have a wide variety of cut types: some regular, some “regular” but with differently shaped connectors, and some amazingly designed unique cuts you won’t find anywhere else (check out the split tendril cut!) I love that you can preview the piece shapes for each puzzle before you purchase! Their whimsy pieces are intricate and fun, and it’s almost artwork itself the whimsy designs for each image. Their catalog is varied and interesting, and they have the most reasonable prices I found, starting at $18. Peaceful Wooden Puzzles are amazingly well crafted – the puzzle I purchased almost looks as if the image was painted on the wood! They have beautiful whimsies, and you can choose between religious, universal, or no whimsy pieces. 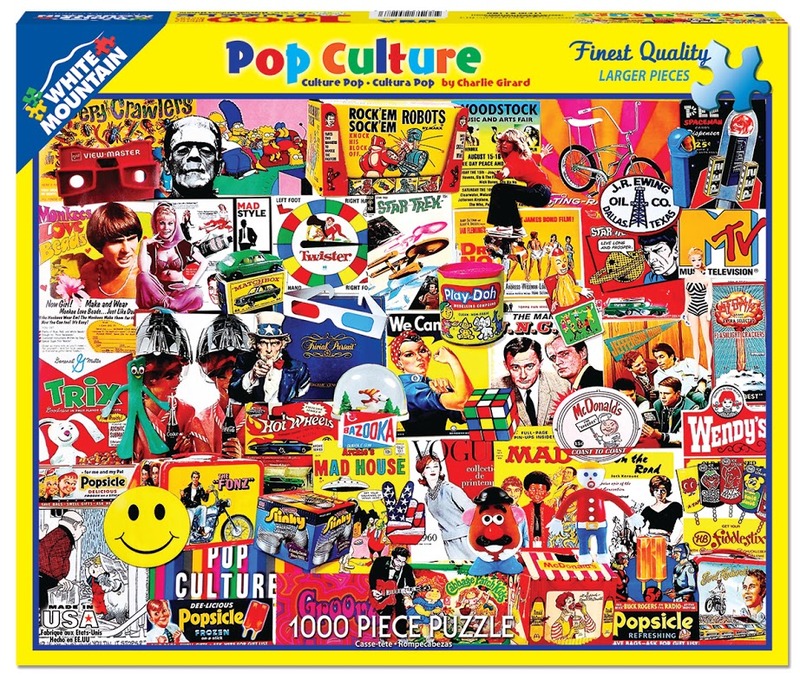 All of their puzzles are Victorian cut – no boring regular cuts here! Their catalog is quite varied (you have GOT to look at the amazing images from Edward Kinnally – I want them all!) Their puzzles start at $35 for their Flower Fairy puzzles that are 116 pieces in a collectible tin; their other puzzles start at $50 for 260 pieces. Wentworth Wooden Puzzles are beautiful and well made, but their cuts look to be mostly regular pieces; I chose an “extra difficult” puzzle to get a more interesting piece cut. They do have whimsies in their puzzles, but most other pieces look the same as you’d find on a random cut cardboard puzzle. Their catalog is quite varied, with some interesting and very unique bespoke images, and extra difficult puzzles with repetitive or tessellating pieces to give you a challenge. Their smallest puzzles (micro-puzzles) are about 30-40 pieces and only $12! Although you do have to consider shipping costs, as this is the only company of the five I tested that isn’t in the United States. Sibbett Studios have regular grid cut wooden puzzles, and all their images are photographic. This is the only company I tried that I wouldn’t purchase another puzzle from. The puzzle itself is well made, and even comes in a handmade box; but for me most of the joy of working these wooden puzzles is the uniqueness of the piece shapes and the fun of the whimsy pieces. Without the interesting pieces, these puzzles just don’t give me the same sense of fun and entertainment. Still, they are beautifully made puzzles and they may be just the thing for someone who doesn’t care for random shapes. Their prices start at $15 for an 88 piece puzzle (on Amazon). For me, puzzling is a tactile experience as well as visual and auditory. I love the feel of a good puzzle piece in my hand, how it feels and sounds as you fit it into the correct place, or just running my hands over the completed puzzle. Again, for me, this is true for both the wooden and the cardboard puzzle. But in my opinion the experience is much richer with a wooden puzzle. There is nothing like the satisfying “plunk” when a piece drops into place, and the feel of the thick wooden pieces is absolutely wonderful! I usually refer to the image when assembling cardboard puzzles; but I’ve noticed that I prefer to assemble the wooden puzzles without looking at the image on the box. It didn’t occur to me until I was assembling the 4th puzzle that the reason I do this is to make the experience last longer! How odd that it took me so long to figure that out. If I don’t have the picture for reference it’s more of a challenge and it takes more time – more time to enjoy the full sensory experience of the wooden puzzle (including the wonderful charred wood smell that reminds me of my youth). Advances in the manufacturing process for wooden puzzles have brought the prices down; you can find excellent wooden puzzles at reasonable prices. Reasonable is relative, I know. Artifact Puzzles have beautifully crafted smaller puzzles starting at $18. They are small puzzles (some around postcard size), but beautiful and engaging and they can be assembled over and over. In my mind they’re worth the cost, but everyone is different. I know the wooden puzzles I’ve purchased have been done several times already, they seem to beg to be assembled more than once! While most cardboard puzzles are grid cut or random cut, the sturdier pieces of wooden puzzles make it easier to craft intricate shapes and whimsy pieces. Many of the beautiful, detailed whimsies in wooden puzzles wouldn’t last if they were made of cardboard. Several of the wooden puzzle manufacturers design their whimsy pieces to compliment the image. A garden scene might have pieces shaped as flowers, birds, a watering can, etc. Liberty Puzzles make exceptional whimsies that make up about 15-20% of the pieces. My Dr. Suess puzzle from Liberty even has Suess-ical whimsies! I still love working cardboard puzzles; a good puzzle image with good quality cardboard pieces is still relaxing, fun, and makes me happy. I’ve read testimonials about how once someone tries a good wooden puzzle they won’t go back to cardboard. Not so for me. I love jigsaw puzzles in general, and although I appreciate the quality and craftsmanship that goes into a wooden puzzle I remain a fan of cardboard puzzles too. Cardboard puzzles are less expensive and easier on the budget. The lower cost also means they are more readily available; you can find jigsaws at your local Walmart, Barnes & Noble, or even at the drugstore. They provide hours of entertainment the whole family can participate in, and isn’t that better than everyone sitting around staring at their phones? There are plenty of manufacturers that make great quality cardboard puzzles, and I still get caught up in them and have a great time assembling them. There are pros and cons for each type of puzzle, and it all depends on what you’re looking for. I love them both and will continue to buy both types. Ravensburger, Jumbo, Pomegranate, and Heye are my favorite premium cardboard puzzle manufacturers and there are many others that make very good quality cardboard puzzles that I enjoy assembling. I now have some new favorite manufacturers – of wooden puzzles! All the manufacturers of wooden puzzles that I’ve tried make excellent products that bring me relaxation, entertainment and fun. Liberty and Artifact are my favorites, but I loved Peaceful and Wentworth too!